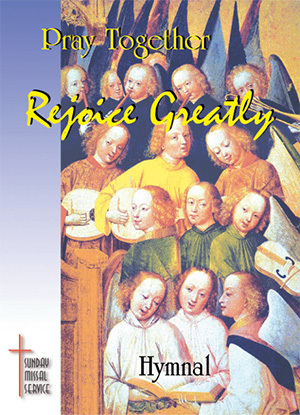 "Rejoice Greatly" Hymnal is available in convenient hymnal edition size. The same great content, musical scoring and over 400 hymns in a sturdy perfect bound book that is estimated to last 3 years. Featuring selections from GIA, OCP and WLP along with artists such as Carey Landry, Bernadette Farrell, Fr. Norbert and a host of other fine publishers and composers. Rounding out our music program, each parish receives our "Rejoice Greatly" music accompaniment book and our "Rejoice Greatly" supplement book provided free of charge in conjunction with the purchase of bulk subscription missals or hymnals. Join with us and "Rejoice Greatly" in our worship of the GOD ALMIGHTY.